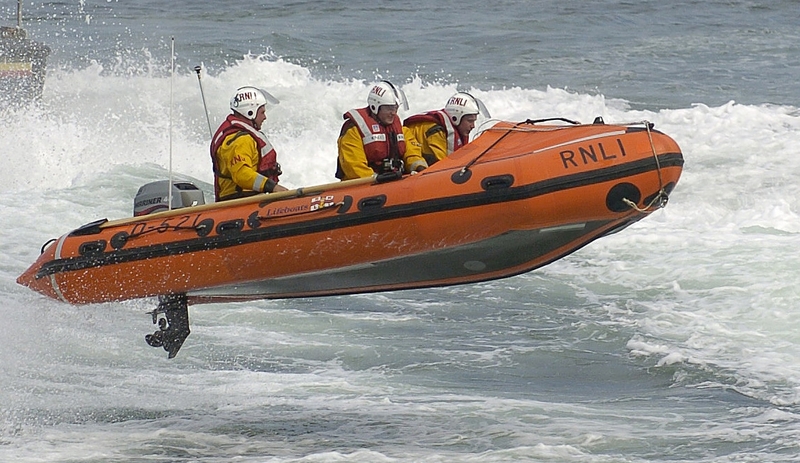 The coastline south of Whitby is attractive often enticing many to walk along the shore, unfortunately people do not seem to have any knowledge of local tide times seeing many cut off as the tide flows in. 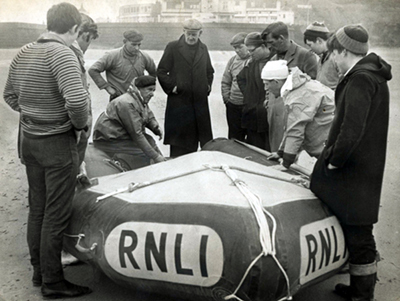 Sadly it is not a rare occurrence as the numbers needing rescue confirms. 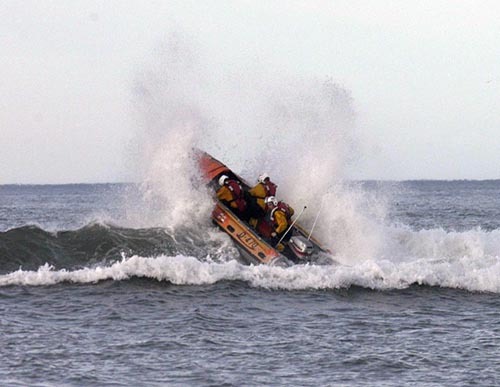 Because of the topography the all weather is often restricted from getting close enough inshore to reach the casualties, leaving the rescue attempt to the smaller inshore lifeboat or "D class". 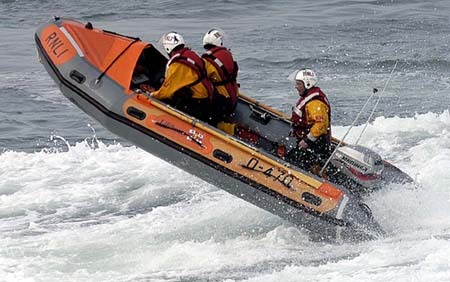 Often working inshore amongst the surf the boat is susceptible to capsize, yet even though the crew are trained to manually right the boat it does not lessen the dangers they face on a seemingly increasing frequency. 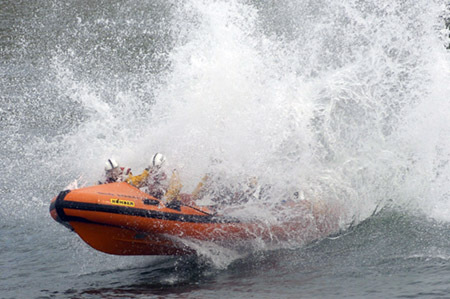 The current inshore lifeboat is the OEM Stone III and it is the third inshore lifeboat to carry the name, quite an achievement by any means, the boat was officially named by the Duchess of Kent last September in a joint ceremony to dedicate the opening of the newly built lifeboat station. 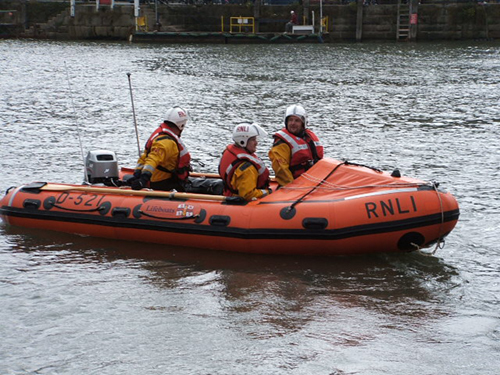 The inshore lifeboat now has a fully equipped bay in the new station to match the facilities of any other station. 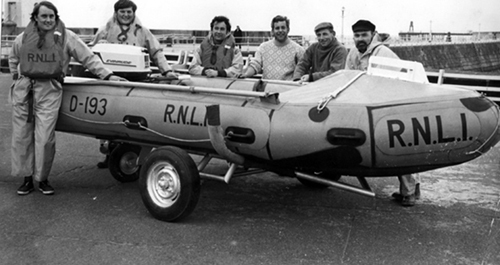 To the right of the boat there is an amply equipped workshop, a far cry from what existed before this new station was built. 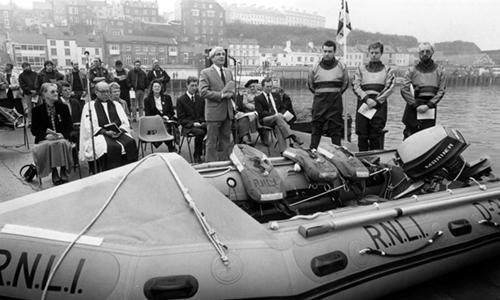 The first four photographs below give some idea of how things have come from the first few years Whitby was allocated its own inshore lifeboat. 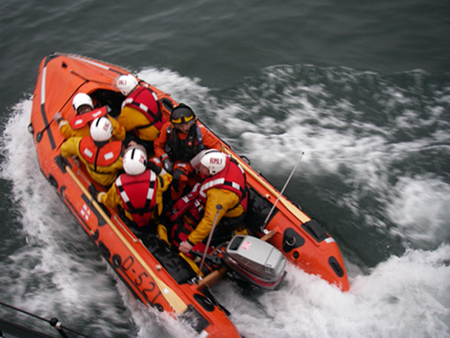 The last six photographs above were captured during lifeboat weekends and feature a number of inshore lifeboats, one of which is the "Runswick Bay Rescue lifeboat". 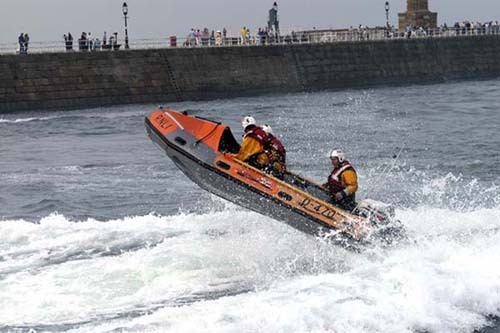 Runswick Bay is five miles north of Whitby and is a picturesk bay, it is a popular tourist location, which like Whitby it has some very enticing coastline. 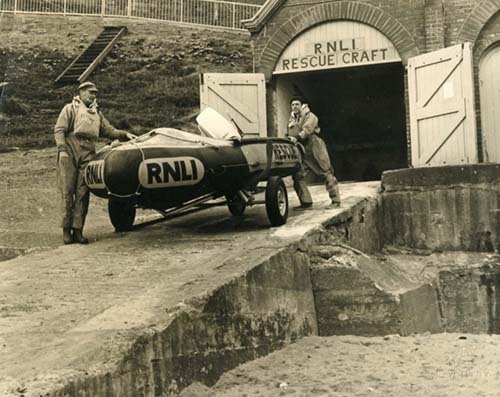 The "Runswick Bay Rescue lifeboat" is run independent of the RNLI much like Whitby was when the lifeboat station was first formed, but that is not to say it will likely come under the auspices of the RNLI in the future. 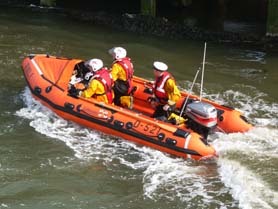 Nonetheless it is run as professionally as any lifeboat station is and the village has much to be proud of. 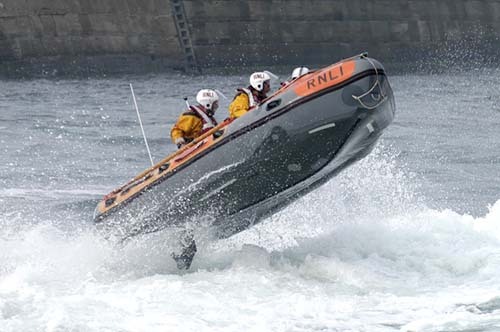 As an independent rescue service, the station will ultimately not receive the funding RNLI stations do, the station has a loyal band of supporters and if anything the lifeboat complements this part of the Yorkshire coastline.